Magento 2 Features Overview. What’s New for Online Merchants? Having several Magento 2 projects under development, it’s about time to break the silence and tell you about the experiences we’ve made with the new platform. But it would be a bad tone not to tell you about Magento 2.0 key improvements first. The platform has been essentially revamped, and now Magento technology stack includes such open-source technologies as PHP 5.5, 5.6x, 7.0, MySQL 5.6.x, MySQL Percona 5.6.x, Apache 2.x, Nginx 1.7+, RequireJS, jQuery completely replacing Prototype, Less, Varnish, Redis, Composer etc. All these technologies grouped together make it easier for Magento programmers to develop functionality faster and more efficiently. But what does it have to do with you, an online merchant? Let’s see. First of all, Magento 2 development is supposed to take less time and cost you less money accordingly. We do not claim it’s true for now, since a lot of Magento developers are only exploring the new system and haven’t mastered their skills yet. But in the long run, this claim has to be justified. Furthermore, a new code base and file structure makes it easier to customize the site and integrate it with 3rd party systems so the site will be fully adjusted to your business workflows. Lastly, the new system promises less painful updates to new versions that means more features and security goodies for you in the future. 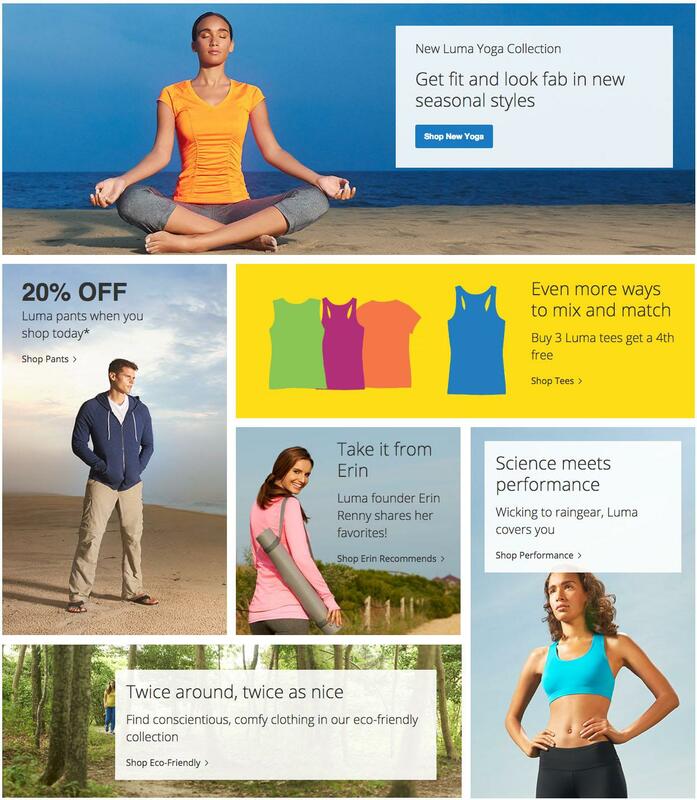 The default Magento theme was completely refactored and now not only has the improved code base and file structure, but also incorporates the latest ecommerce trends and best usability practices: clean and intuitive design, tiles on the homepage that allow you to display more banners at the same time, greatly improved category, product and checkout pages etc. Luma can be a good starting point for merchants who want to try out their business ideas but do not plan to invest heavily into design and for those who plan to have unique designs — the theme can be easily customized to your design specifications. Those who already worked with the system know that the administration interface of Magento 1 is not the best example of user-friendliness and aesthetics. And, those who haven’t can visit our Magento 1.9 demo site (m1.magecom.net/admin, login:demo, password:demo123) and experience why the rebuilt Magento interface is one of the most noticeable and welcomed changes in Magento 2. Not only does it look cleaner, but it is also more intuitive and effective: the menu items are reorganized and placed vertically so you can easily access the required areas of the site, the content itself is more eye-catching, and what’s also important — now you are not intimidated by the complexity of the UI. 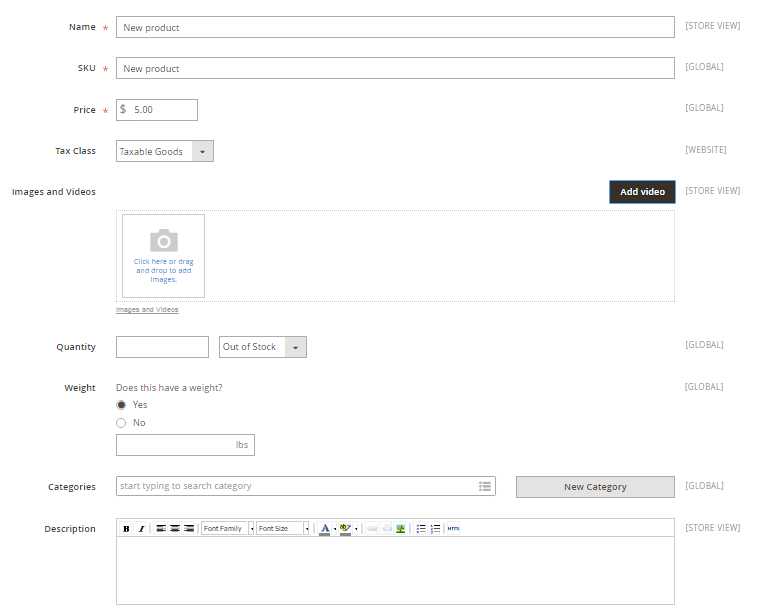 In addition, backend users can customize certain grids in the admin panel (catalog, customers, pages etc.) simply by dragging and dropping columns as well as edit information right on the grid page. This makes each panel personalized and more convenient to use. The development team has also changed the way products are created in Magento 2. The first thing to notice is that all the essential fields are now placed on the first screen, so you do not need to jump between different tabs back and forth. The second thing that draws attention is the ability to add videos — in Magento 2 you can do it by simply inserting videos URLs to Vimeo or Youtube. Furthermore, Magento 2 enables you to create configurable products without preliminary manual simple product creation — all of them are created automatically and can be edited in bulk. There are several major changes that have been made to Magento 2 checkout. The first one — the frustrating step when the customer has to decide to checkout as a guest, log in or to create an account was reduced. Now it is pre-defined that the customer wants to checkout as a guest. If the shopper decides to create an account, he can do it just with one click from the “Thank you” page after the purchase is completed. If the customer already has an account but is not logged in, the system encourages him to log in to complete the transaction. However, if he prefers to checkout as a guest, he can also do it without any complications. The second major improvement introduced — a two-step checkout. The old accordion has gone, replaced by the progress indicator and two checkout steps — Shipping and Review & Payments. All required customer information is now collected in the first step, the payment information — in the second. 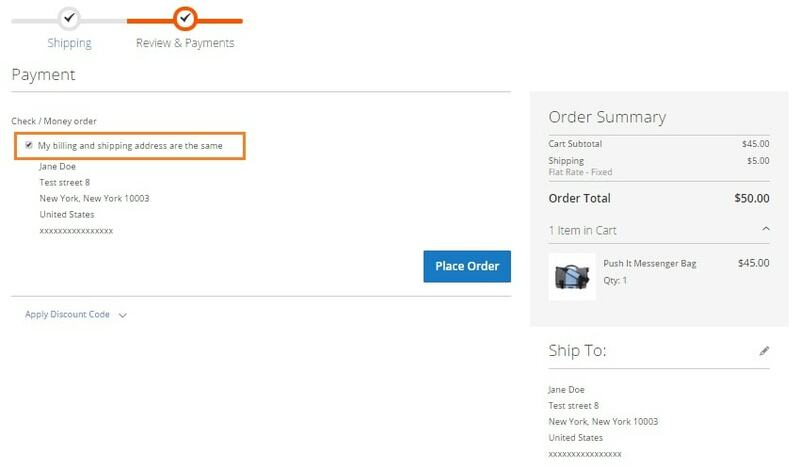 By default shipping address is considered to be a billing address, so the customer does not have to enter it twice unless the billing address is different. In order to speed up page load and reduce server load so the site can handle more queries and traffic, Magento 2 introduces full page caching that previously was available only for Enterprise edition. This feature allows web browser to “remember” the page if it has been entered by a user once, and if this or another user loads this page again there is no need to send queries to the database. As a result, Magento 2 delivers more responsive user experience with less hardware. The import and export functionality in Magento 2 is faster than its predecessor’s and is more advanced as well: it allows to import and export such data as custom options, product images from remote URL, extended configurable products, tier and grouped prices, related products, up-sell and cross-sell products. In Magento 1, we had to install third party extensions or develop own custom solutions to import/export this product information. Bad news: if you are running a Magento store, sooner or later you will be forced to upgrade to Magento 2 since in less than three years Magento Inc. stops supporting Magento 1. No more updates, no security patches, nothing. The good news: Magento 2 has a migration tool aimed to make data transfer easier and somehow minimize the expenses. To be more specific, with the new tool you will be able to migrate to Magento 2 such data as store configurations, product information, customer lists, categories, orders, inventories, promotional programs, ratings, and more. But we have to warn you: if the site on Magento 1 is highly customized, most probably the migration tool won’t be able to transfer the data properly or won’t transfer it at all. Warning number 2: design and extensions can not be migrated. Basically, migration to Magento 2 means that you will need to create a completely new site: develop a theme, install extensions, code custom solutions. The migration tool will only help you transfer the data. Of course, this is not the full list of improvements introduced in Magento 2, just the major ones. And, according to Magento development roadmap, there are some more exciting features coming: Elastic search support, B2B-specific features, enhanced personalization and analytics capabilities — all features really worth waiting. One question still remains unanswered: should merchants running Magento 1 stores update to Magento 2 or not? Are the above mentioned features really worth the upgrade? Have an outdated Magento site — it’s about time to please the eyes of your customers with a more appealing design and features. Have performance issues with the old system — be it Magento 1 or another shopping cart. Plan to invest into the existing store improvement in the nearest future. As we have already mentioned, Magento Inc. stops supporting Magento 1x and sooner or later you will be forced to migrate. So why pay twice? Are satisfied with your current Magento performance, and things are working fine with Magento 1, there is no urgent need to migrate to Magento 2. You can keep using Magento 1 for a year or two without feeling the need to upgrade. Currently have an important season for your eCommerce store. Have a lot of 3rd party extensions installed in your current Magento 1 store essential for your daily operations but not available for Magento 2 yet. That’s all folks! More info about Magento 2 is coming soon, and you are always welcome with any questions and feedback — our articles are often born of them.